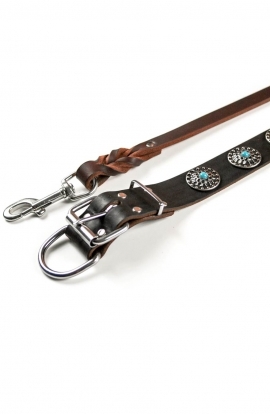 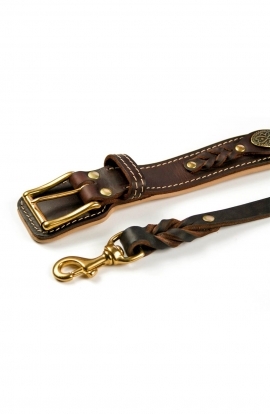 Handmade Spiked Leather Dog Collars by Old Mill Store! 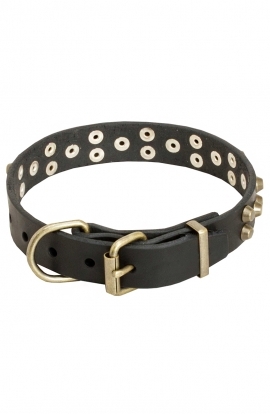 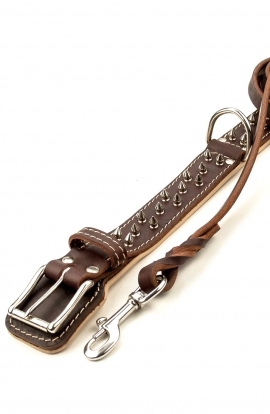 Get high quality, heavy duty leather collars for large dog breeds! 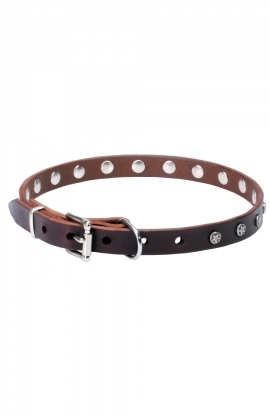 You are welcome to meet this elegant 3/4 inch Leather Dog Collar - an ideal mixture of style and quality, comfort and serviceability, that will become a worthy adornment of your noble dog. 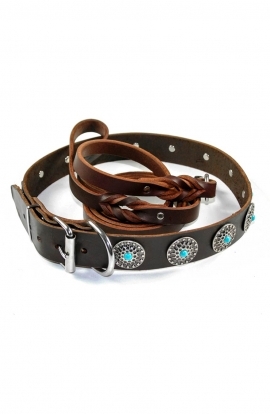 Wearing this decorated collar your furry friend will look simply amazing. 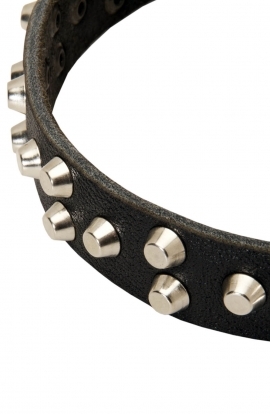 This genuine leather supply features chrome-plated spikes and skulls, which make it extraordinary and trendy. 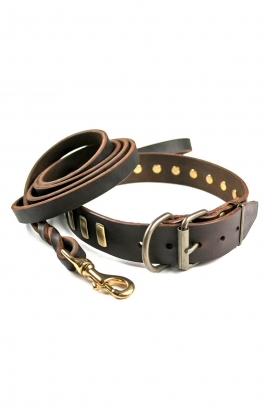 The item is handcrafted and equipped with belt buckle and welded D-ring. 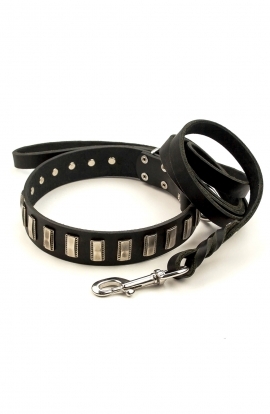 Thanks to high-quality materials it is safe for the dog’s skin and intended to use for many years. 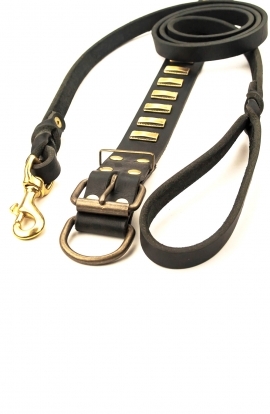 This dog item is specially created for handling the most demanding dogs, so everything possible is done to make it suitable both for daily use and special events. 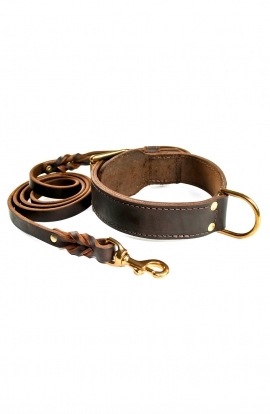 The leather is top grade and hand processed. 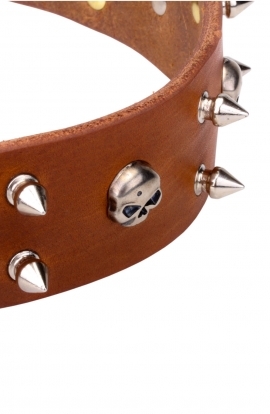 This handcrafted collar with chrome-plated spikes and skulls is the unique combination of high quality, durability and style. 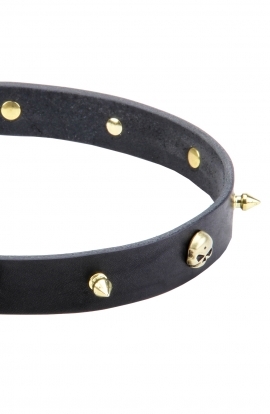 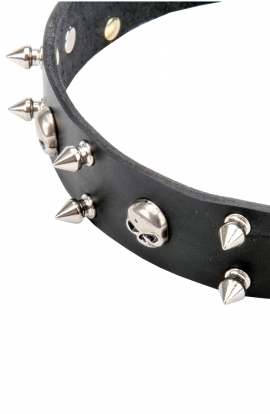 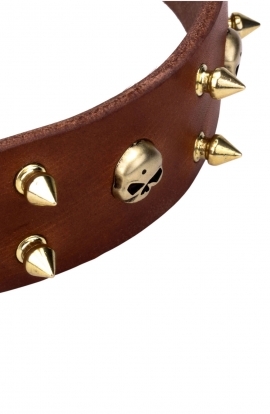 Comfort, durability and handcrafted design - these are the key features of “Golden Skull” Collar! 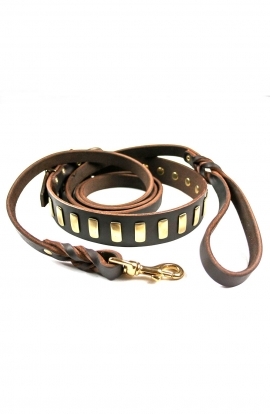 You will be able to enjoy this item for a long time as it is made of high-quality leather. 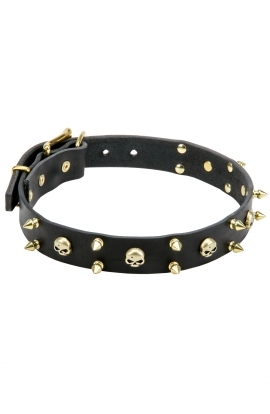 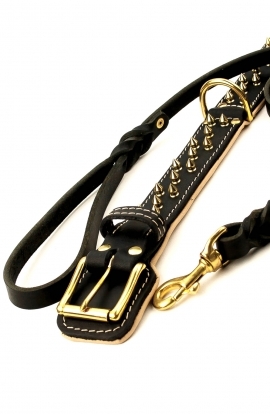 Due to small chrome-plated skulls and spikes set on the strap this dog supply looks very impressive. 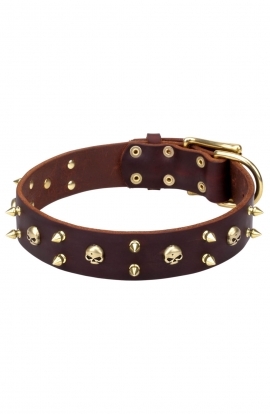 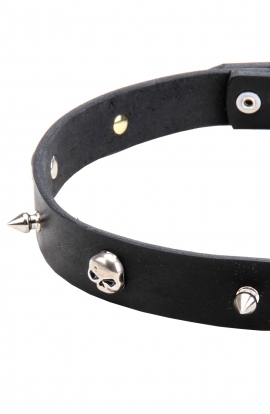 New Spiked Leather Dog Collar "Silver Skull"
Meet this excellent quality decorated with spikes and skulls 1 ⅗ wide collar, manufactured of soft natural leather, that will give your dog the feeling of comfort and style. 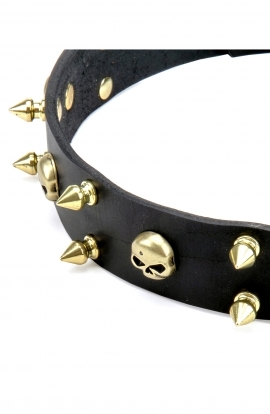 New Spiked Leather Dog Collar "Golden Skull"
This excellent quality handmade 1 ⅗ inch wide dog collar, created of the first class genuine leather and adorned with luxury brass decorations will obviously stir an audience, which won’t be able to keep from staring at your stylish canine. 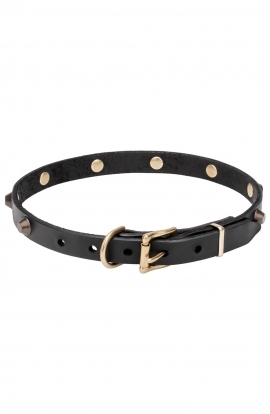 Refinement and elegance are the first that comes to mind having looked at this 20 mm wide leather collar, featuring strength and durability despite its delicate appearance. 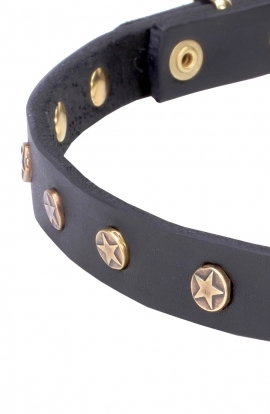 This slim and light leather 20 wide collar, decorated with outstanding brass circular studs, will bring your dog comfort and elegance, combined in one flawlessly looking accessory.